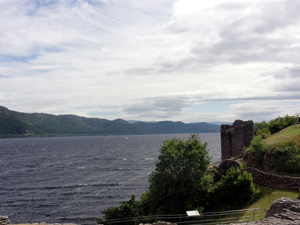 Spending the day “Nessie Hunting” is a good way to see one of the most beautiful Lochs in Scotland. We caught the 25X bus service on the High Street in Invergordon (the hosts will point it out to you) to Inverness bus station. This public bus takes approximately 50 minutes to reach the bus station in Inverness. Once there, you have the option of carrying on using public transport or you can visit the Jacobite kiosk just inside the bus station ticket office. If you use the Jacobite option they can arrange to take you all the way to the Loch and bring you back to Inverness Bus station (depending on availability), where you catch your return bus to Invergordon. Be aware that you will be required to allow sufficient time for the return trip to make sure you are back for your boarding time. 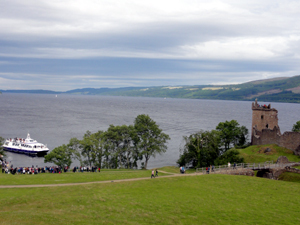 It takes about 30 minutes from Inverness Bus station to Urquhart Castle, which is situated on the shores of Loch Ness. 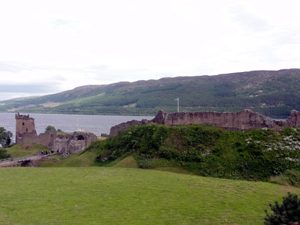 By public bus you can travel from Inverness to Loch Ness using the same ticket that brought you from Invergordon and this can also be used for the entire return journey, so you have no additional travel costs. Please note: This option is only available during the bus timetable's summer schedule (actual dates vary). Please check before travel (link below). 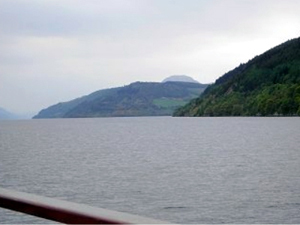 If you have already pre-booked a trip to Loch Ness via Jacobite please be aware that you are required to make your own way into Inverness Bus Station. They do not provide transport to get you from Invergordon!! If you just want to visit the City of Inverness on your own, the cost of travel and the bus service used are exactly the same as above. Inverness is a small city with a variety of retail outlets. For up-to-date travel arrangements on the day, please check with our Information Point before you leave Invergordon.